When Terry Mosher first started drawing political cartoons, Canada was celebrating its 100th anniversary and on the cusp of "Trudeau-mania," which would see Pierre Elliot Trudeau become prime minister. Now, as Canada marks its 150th with Justin Trudeau at the helm, Mosher — better known by his pen name Aislin — is still rifling the feathers of the country's elites. The deadline for entering this year's contest is May 5. The new RSF report is bleak. 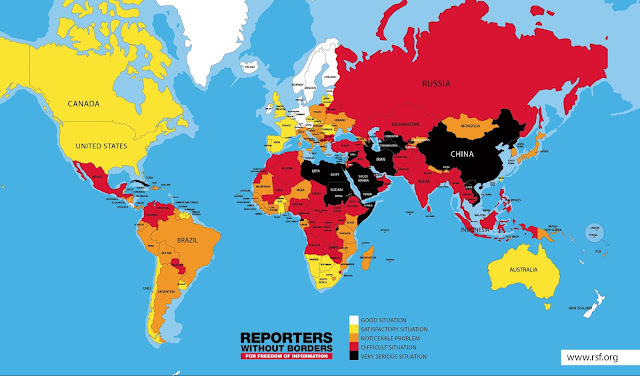 It seems that every year, the situation of journalism keeps getting worse, under pressure from conflict, counter terrorism legislation, state control, intelligence relations. Egypt managed to tumble down in the lowest of the low, worse than Iraq or South Sudan. Two member states of the Council of Europe - Turkey and Russia - are in the bottom 20. 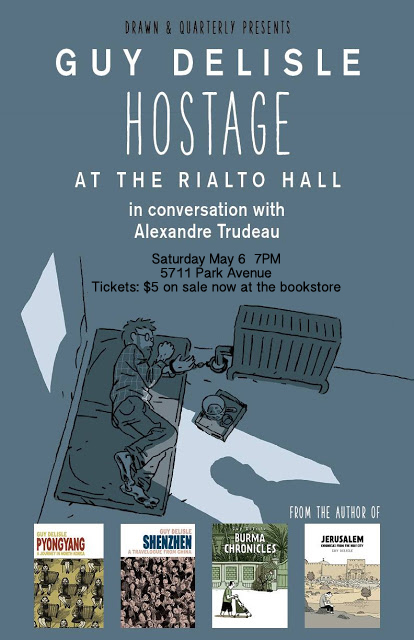 Guy Delisle on tour for "Hostage"
Join award-winning cartoonist Guy Delisle (Pyongyang, Jerusalem, Shenzhen, Burma Chronicles) for the launch of his highly anticipated, non-fiction page-turner: Hostage. 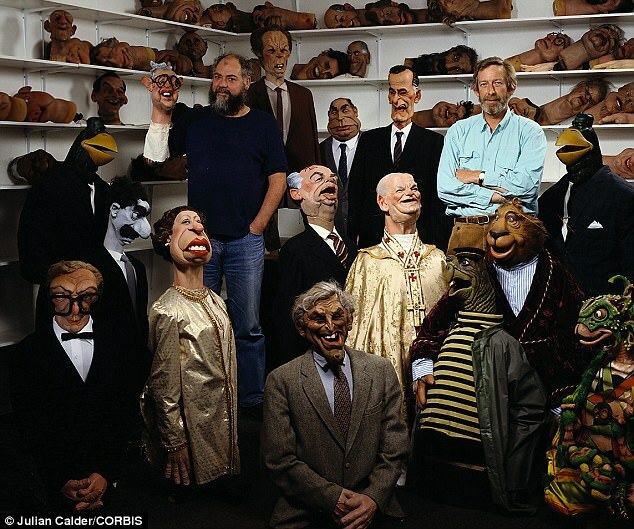 The programme's creators Roger Law, pictured left, and Peter Fluck, pictured right, are seen among a selection of their puppets. Spitting Image is set to return to TV screens as it is remade for an American audience by the network behind Game of Thrones. Programme maker HBO has US president Donald Trump in its sights - with an insider saying there 'has never been more material for political satirists'. France votes today in the first round of its' presidential election. The final round will take place on May 7th. 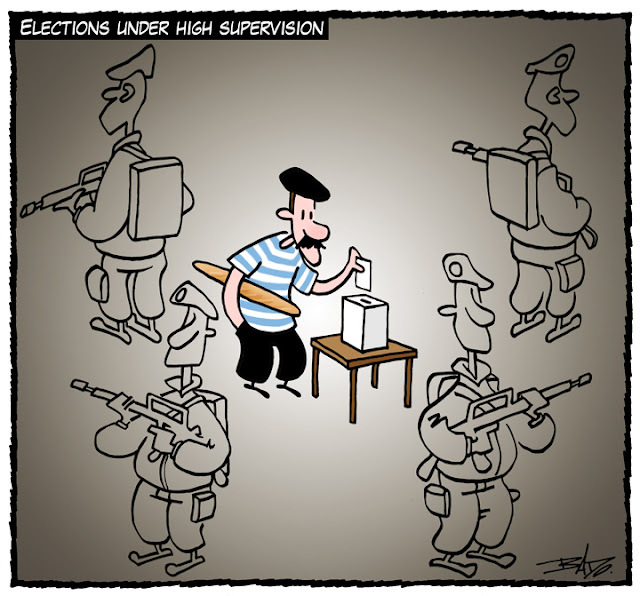 Raeside's second compilation of "The Other Coast" comic strip. 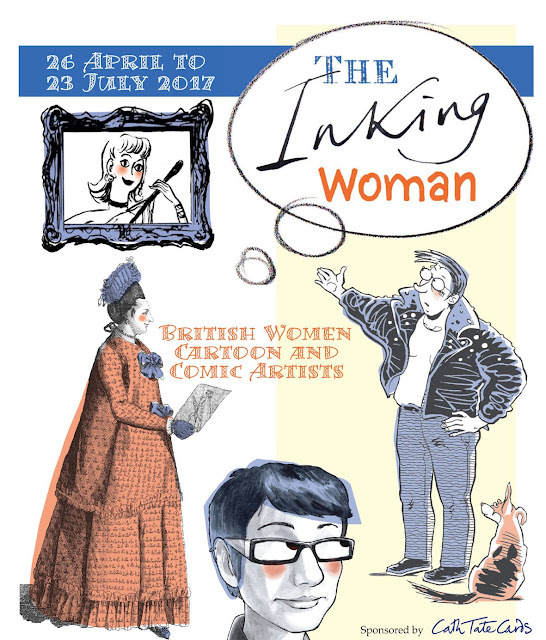 Cathryn Atkinson in Pique News Magazine. 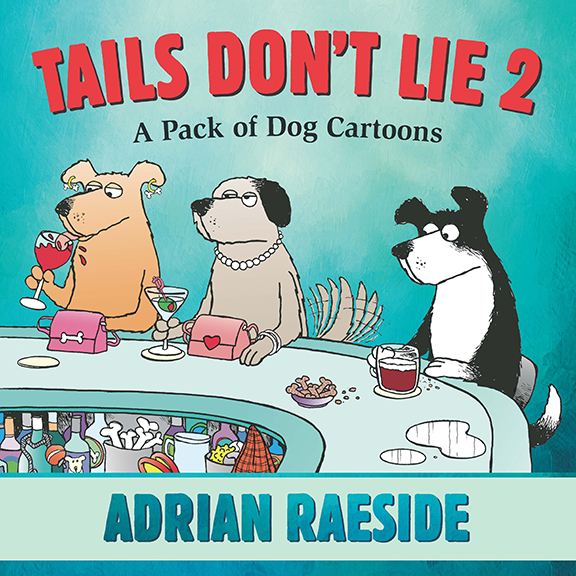 Cartoonist Adrian Raeside is a great person to have lunch with on St. Patrick's Day. Two Guinnesses into it and the craic and laughter are flowing. Listening to the tape now, there is definitely an interview in there somewhere. The original version of Wednesday's's cartoon in Le Droit was featured in the weekly Cartooning for Peace Cartoon Gallery. From the website of the Municipality of Xira. 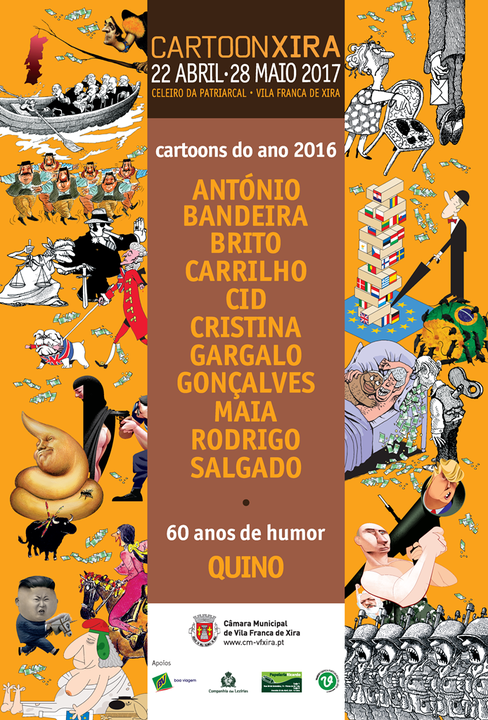 Internationally renowned cartoonist Quino will be joining the national guests for this edition of "Cartoon Xira", which will take place from April 22 to May 28 in the Celeiro da Patriarcal building. Chester Brown, Michael DeForge, Julie Doucet, Chris Oliveros and John Martz lead the nominations for the 2017 Doug Wright Awards, a featured event at the 2017 Toronto Comic Arts Festival (TCAF), which takes place at the Toronto Reference Library, May 13-14. The winners of the 2017 Doug Wright Awards will be presented at a ceremony held in the Forest Hill Ballroom at The Marriott Bloor Yorkville Hotel, 90 Bloor Street East, Toronto, Ontario on May 13. Admission is free, but is first-come, first-serve. An exhibition of British women cartoon and comic artists will take place at the Cartoon Museum in London. Tristin Hopper in The National Post. 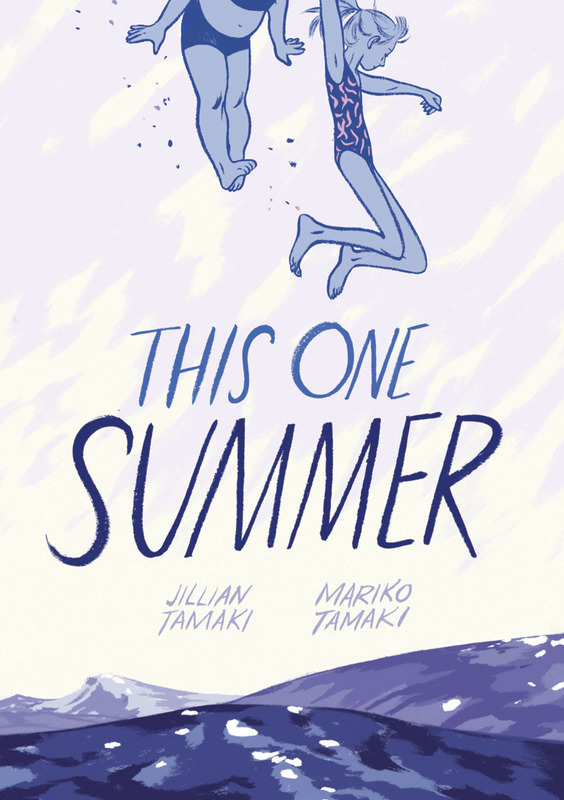 For the first time, a Canadian book has nabbed top billing on an annual ranking of books that Americans have tried their hardest to ban. 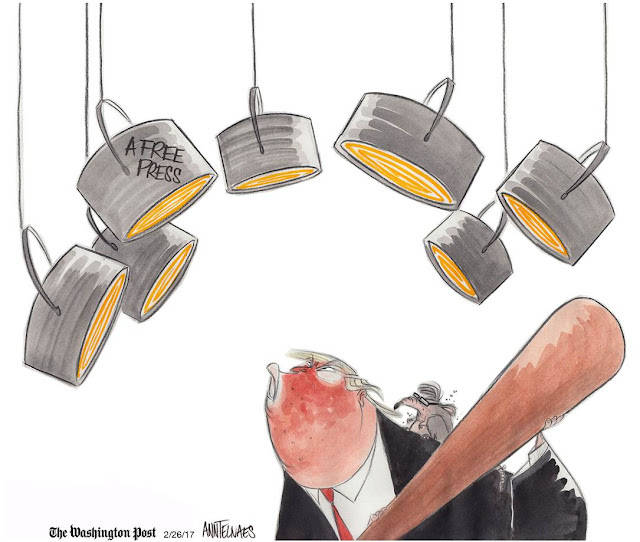 From the website of the Canadian Committee for World Press Freedom. We invite you to join us at the 19th Annual World Press Freedom Day Awards Luncheon on May 2nd at the Fairmont Chateau-Laurier Hotel in Ottawa. Join journalists, politicians, academics, media executives and others who champion the vital role of the press and free expression in fostering democracy and open government. 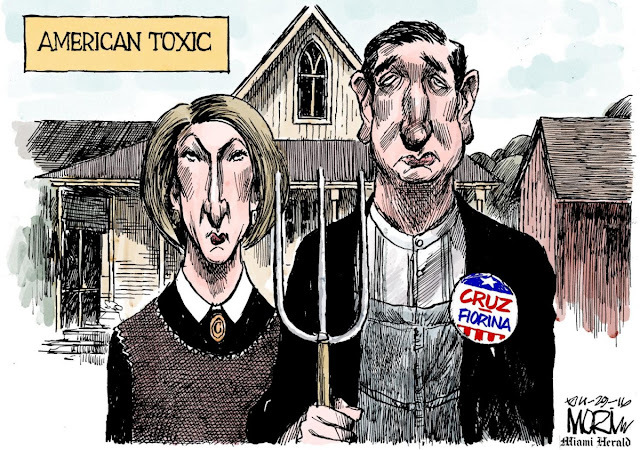 For a distinguished cartoon or portfolio of cartoons, characterized by originality, editorial effectiveness, quality of drawing and pictorial effect, published as a still drawing, animation or both, Fifteen thousand dollars ($15,000) is awarded to Jim Morin of Miami Herald. 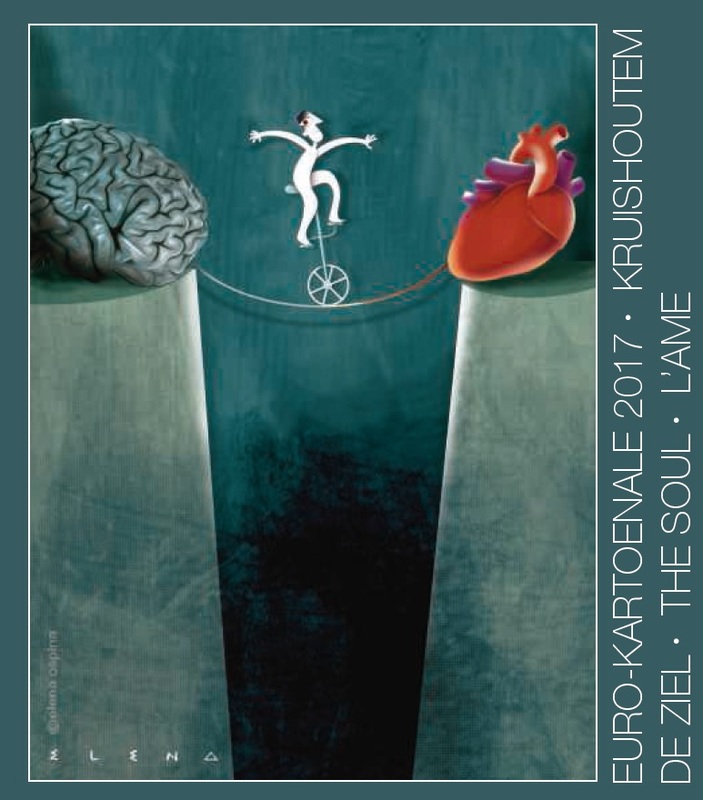 Here are the winners of the 21st edition of the Euro-Kartoenale. 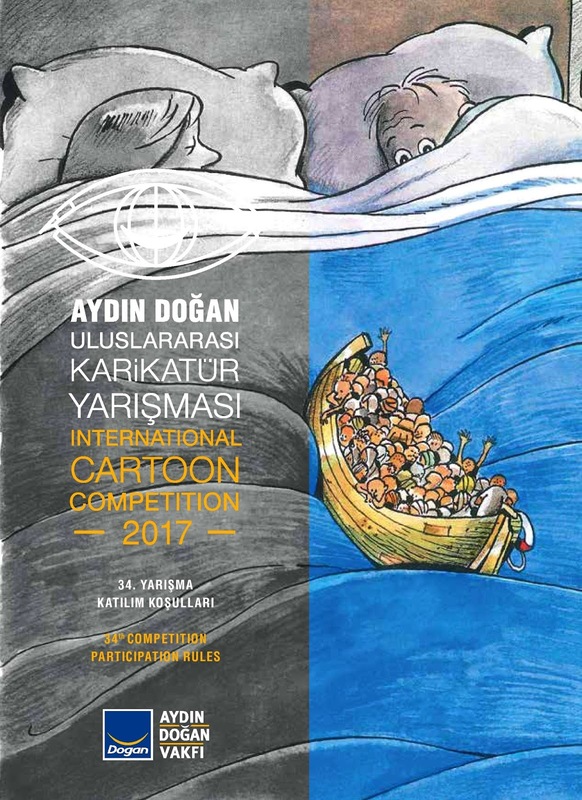 The contest received 2164 cartoons by 782 artists from 82 different countries. The prize winners were announced at the award ceremony on April 8th. In a 2004 cartoon published in Cumhuriyet, Kart depicts Fethulla Gülen as having infiltrated the Turkish military after the 1980 coup d’état. 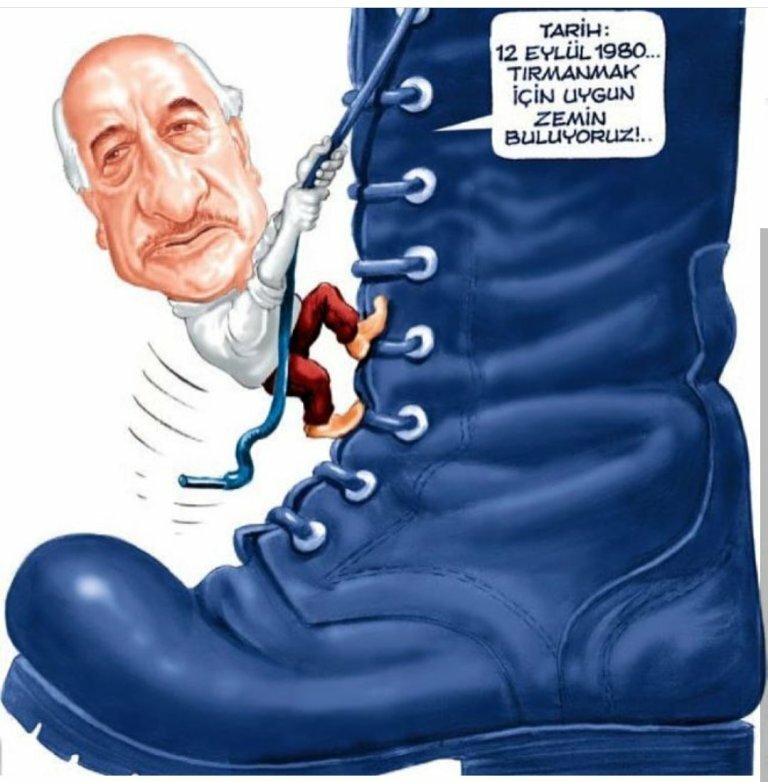 Kart is accused by the current regime of supporting Gülen. Marina Scott in the Montreal Gazette. 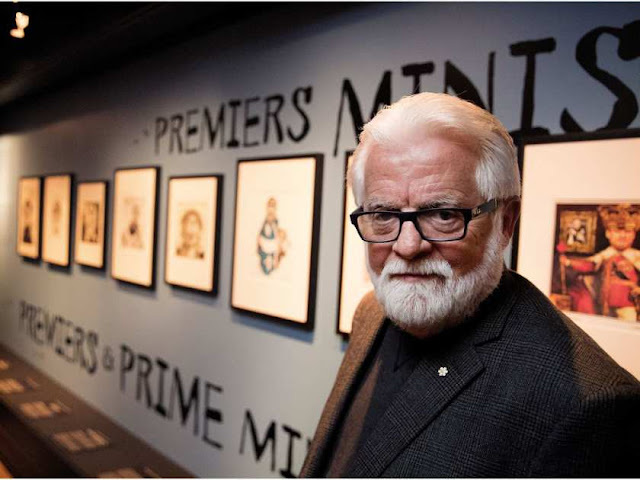 In his 50 years as an editorial cartoonist, Terry Mosher — better known as Aislin — has created more than 12,000 cartoons. Half of those are preserved at the McCord Museum. 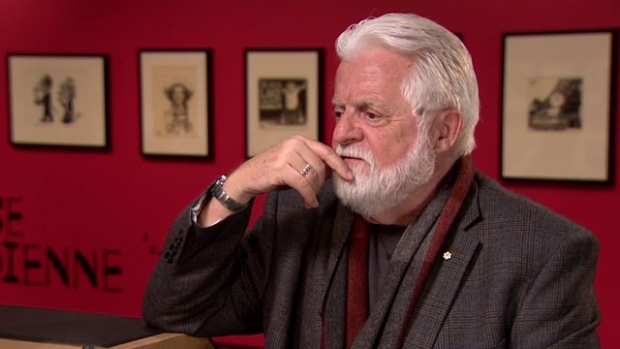 "Aislin: 50 Years of Cartoons"
The exhibition Aislin: 50 Years of Cartoons will present a retrospective of the best cartoons created by Aislin over the 50-year course of his far-reaching career. 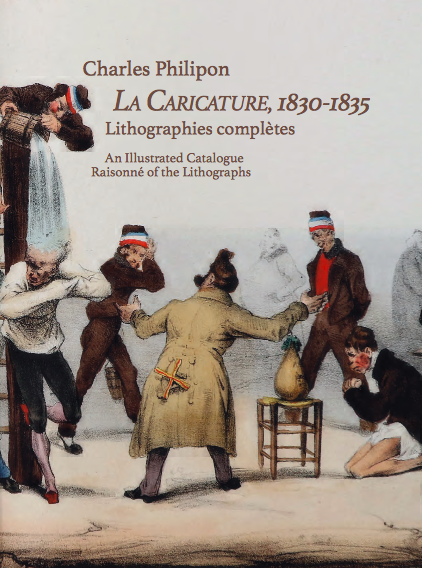 "La Caricature, 1830-1835 : Lithographies complètes"
La Caricature was the 19th Century equivalent and the precursor of Charlie Hebdo. The editor Charles Philipon employed the major satirical artists of the mid-19th Century notably Daumier, Grandville, E. Forest, Charlet, Bellangé, Traviès, Raffet and Gavarni. 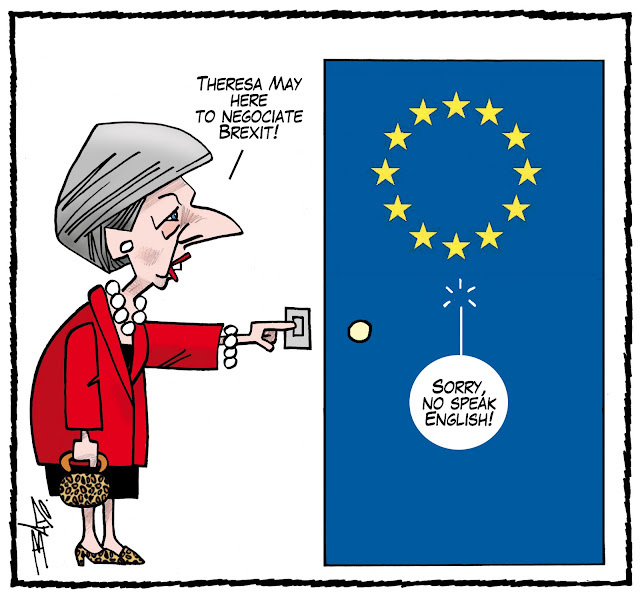 The original version of Thursday's cartoon in Le Droit was featured in the weekly Cartooning for Peace Cartoon Gallery.